Cambridge Road looking westwards. Note the motorcycle shop on the left (another image below). The building originally housed a village blacksmith and then in later years become a cafe and finally a residential dwelling but the earlier timeline is proving a bit difficult to pin down. No telegraph poles in evidence here yet. Un-tarmaced road and no visible drainage or side kerbs. The road level also appears noticeably lower than the modern surfaced A603. Technical note. The houses on the southern side of Cambridge Road, left above, were in the village of 'Orwell' in the Parish of Orwell. The houses on the northern side, right above, were in 'New Wimpole' in the Parish of Wimpole. 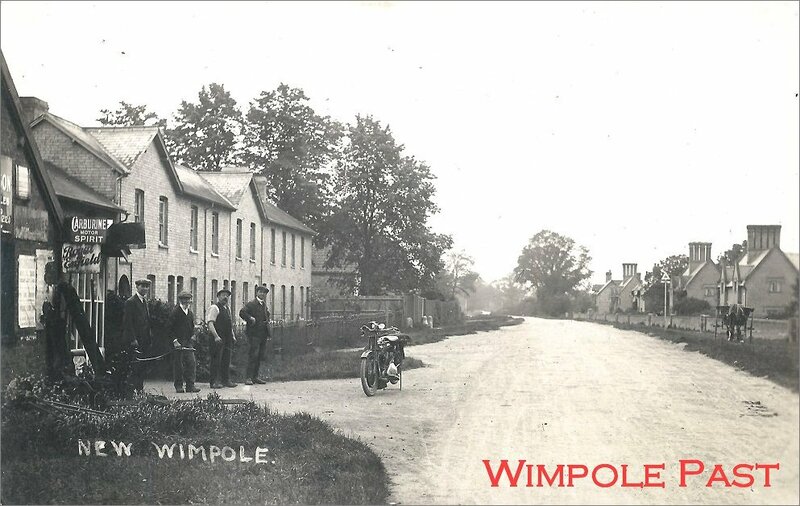 This confusing state of affairs lasted right through to April 1999 when the two sides of the road came together to become the village of 'Wimpole' in the Parish of Wimpole. A faded postcard from my own collection. 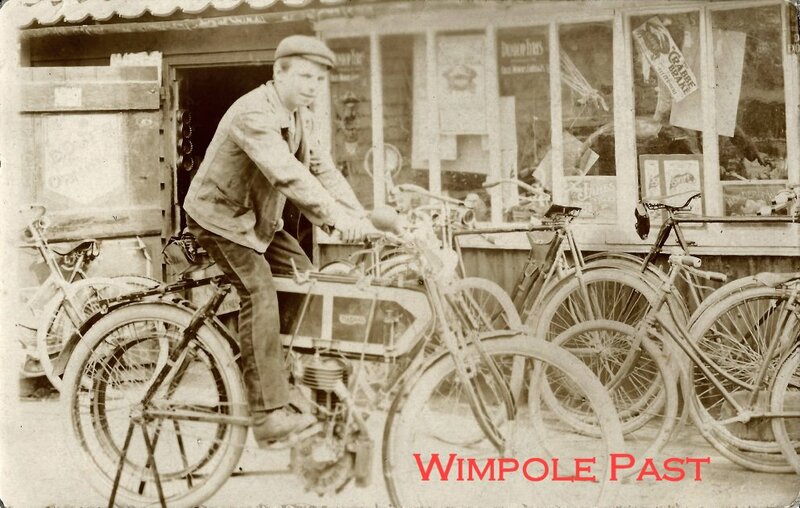 A scene alongside the side of the shop in 1906.
version of Harry 'posing' for the photographer. I think a slightly older Harry can be identified in the Cambridge Road picture above. cousin 'W Gadd' in London. He wrote on the back "I suppose you know who this is..."